← Quick Balsamic-Glazed Brussels Sprouts: Revisited! Oh Hil, you make it all look so easy… I don’t know if any of you have tried to make these salted caramels but they sure are sticky work. Elbow deep in goo and salt tonight I was bound and determined to finish the caramels, pour myself a glass of wine and watch a movie. All I got around to was the caramels. While it may not be all that apparent due to my whining, the stickiness is all worth it. You’ll be glad you went through the trouble once you’ve tasted these salty sweet morsels. And while it makes a bit of a mess…all can be made clean again, just follow these instructions from The Kitchn for pain free clean up. *Side note: for those of you who don’t have fine sea salt or light corn syrup on hand…I substituted dark corn syrup and fine kosher salt. It still made for a fantastically rich caramel! 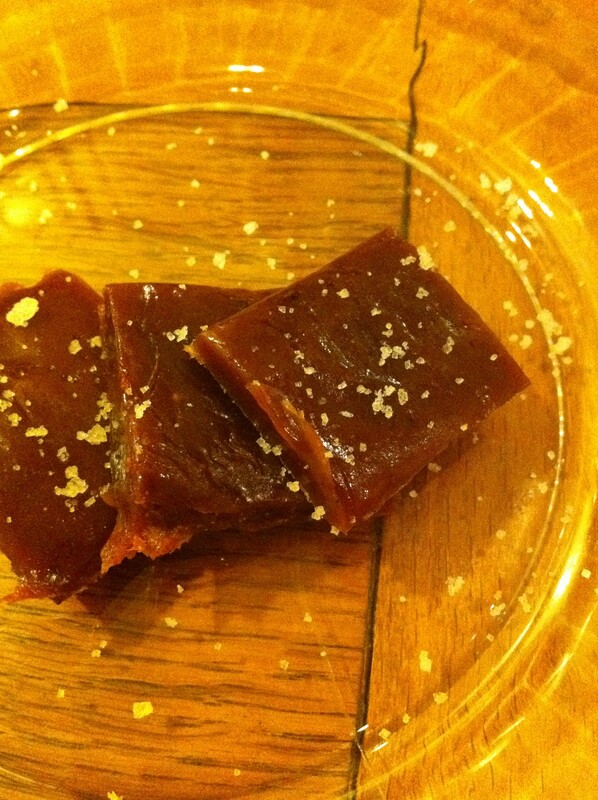 This entry was posted in Anniversary, Salt and tagged caramel, salt. Bookmark the permalink.